When you want to replace missing teeth and restore your smile, it can be difficult to know which dental restoration is right. Let this expert guide help you find your ideal smile solution. One of the first dental restorations, dentures are removable dental structures that replace your entire bottom arch or top arch of missing teeth. Dentures have been popular because they are a quick and affordable way to replace missing teeth, but they can cause certain problems. Their removable nature makes them prone to shifting, slipping, and making odd noises when you speak or eat. If you’re seeking a permanent dental restoration option, then dental bridges may be right for you. 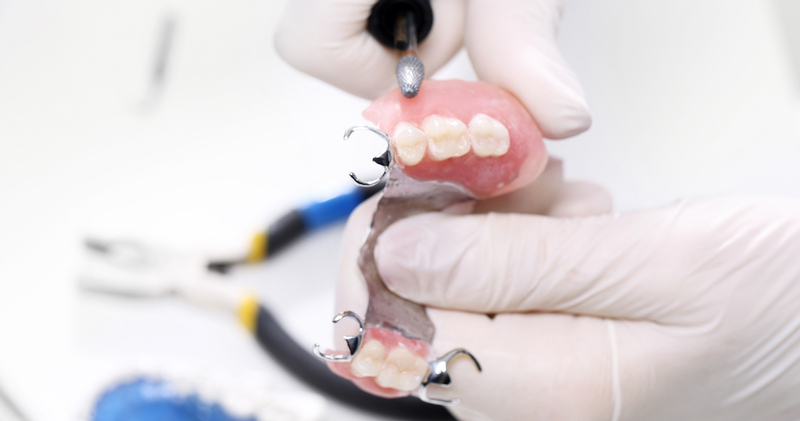 Dental bridges are commonly used to replace a large area of missing teeth. Most dental bridges consist of an artificial tooth that gets attached to surrounding dental crowns and is then bonded into your mouth. Dental bridges are popular because they don’t require surgery for placement, can last from five to 15 years, and are a lower-cost, permanent option offered by almost every affordable dentist. Unfortunately, dentists often need to shave down adjacent healthy teeth for placement, which diminishes and damages your natural tooth structure. Another permanent dental restoration option is a dental implant. They have become extremely popular because they provide the natural look, comfort, and function of teeth. Dental implants are one of the strongest restorations and can also last up to 25 years or more with proper care. They are simply titanium posts that get surgically embedded into the jaw to connect individual artificial teeth or a full bridge of replacement teeth. They most closely resemble natural teeth and last longer than any other tooth replacement option. Since dental implants offer more strength, stability, and aesthetic value than both dentures and dental bridges, they tend to cost a little more. But simply finding an affordable dentist can help keep costs to a minimum. Ask your dentist about these dental restorations to find the best one for you. Great dental techs & good customer service.